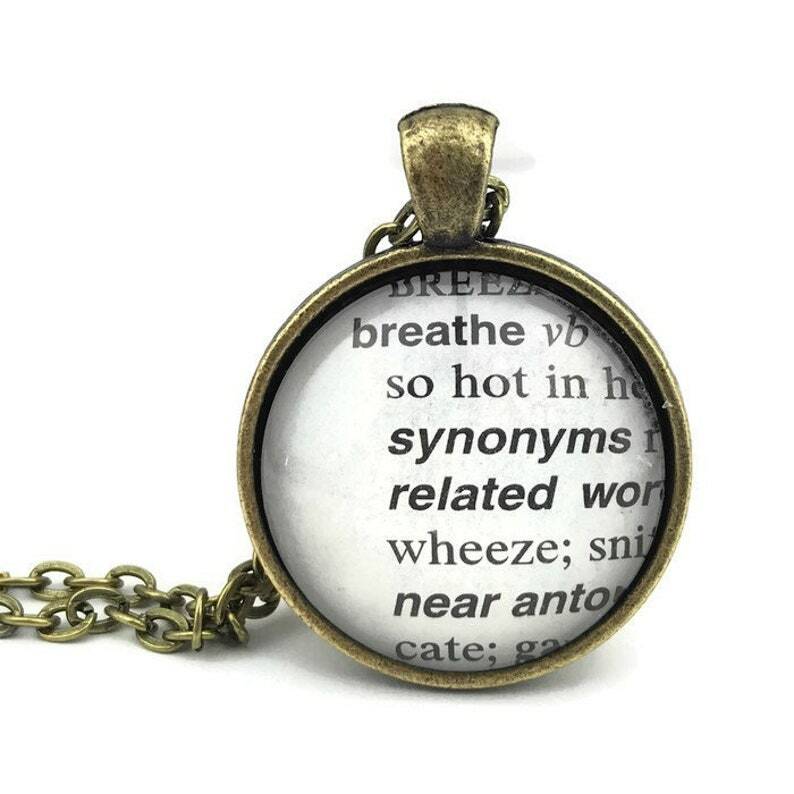 This necklace/keychain is made using a vintage looking bronze or silver plated setting and the word breathe and it's definition cut from an actual (not photocopied or printed from a computer) dictionary. The paper is protected with a layer of resin and domed glass that slightly magnifies the writing. The necklace is 24" long (which can be shortened if desired) and has an easy to use lobster claw clasp. Necklace can be personalized with an initial charm. The pendant is 30mm (slightly more than 1") in diameter. Cute product. Received so quickly.